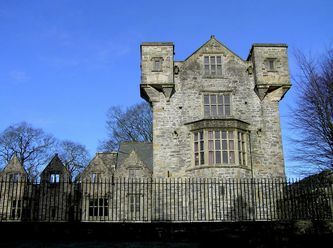 Donegal Castle, more correctly called O'Donnells Castle, is to be found in the town of Donegal Town and is probably the towns most popular attraction. 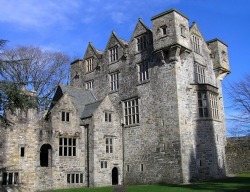 The O'Donnells had another castle in the area, Lough Eske castle. 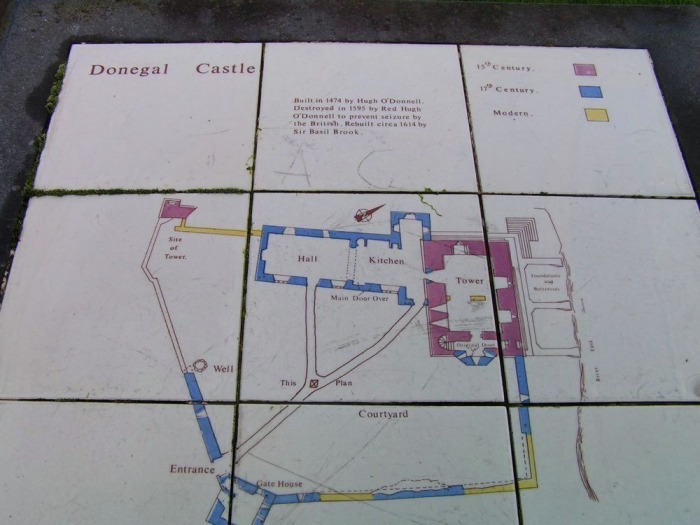 The actual castle ruins lie to the north east of Lough Eske castle (now a five star hotel, Solis Lough Eske). 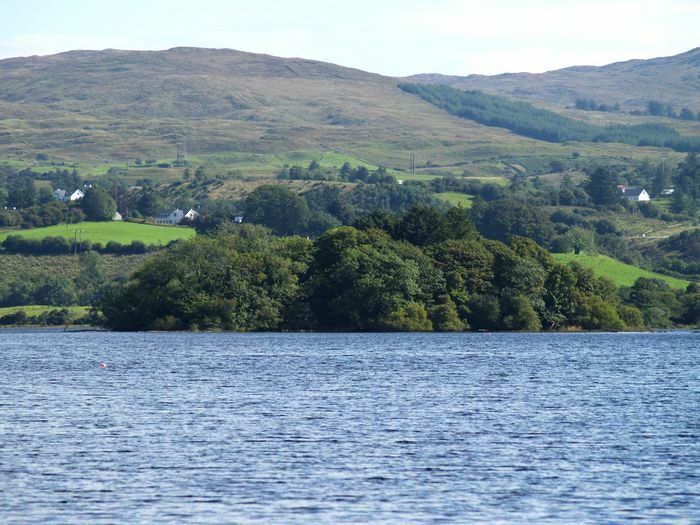 On nearby Lough Eske there is a tiny island on which the ruins of what was a prison the O'Donnells kept their prisoners in. All that remains is one wall and even that is mostly hidden by the trees that now fill the tiny island. Photographs of the island can be seen on this page just after the castle photographs below. 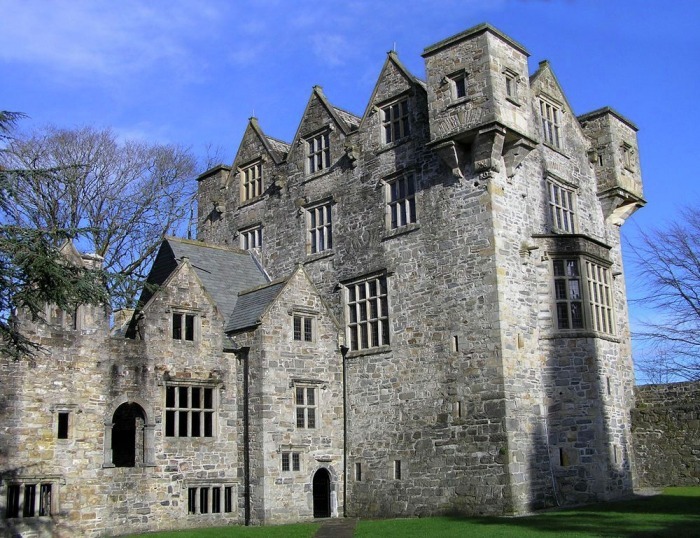 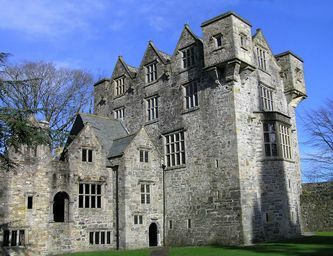 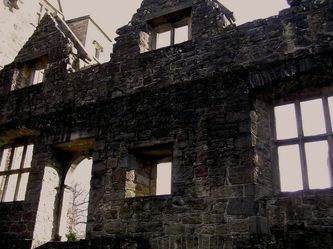 Donegal castle was the principle residence of the great royal family of the O'Donnells, who ruled the Kingdom of Tir Chonaill from 1200 until 1601. 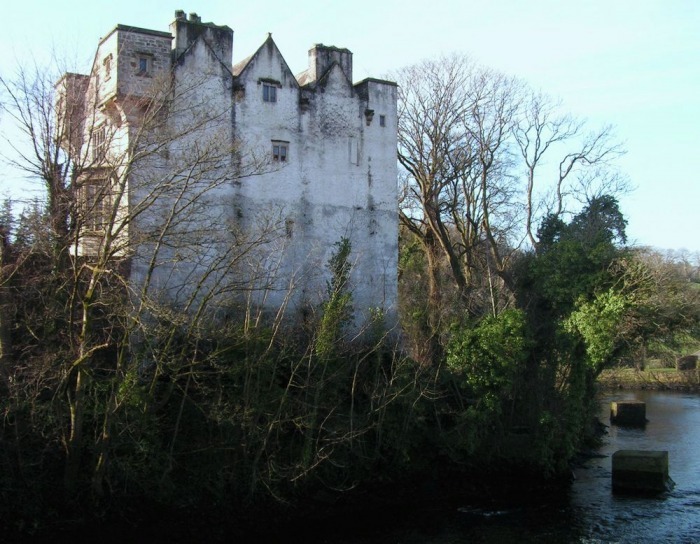 It was built on a bend on the Eske for defensive reasons, the river protecting it on two sides. 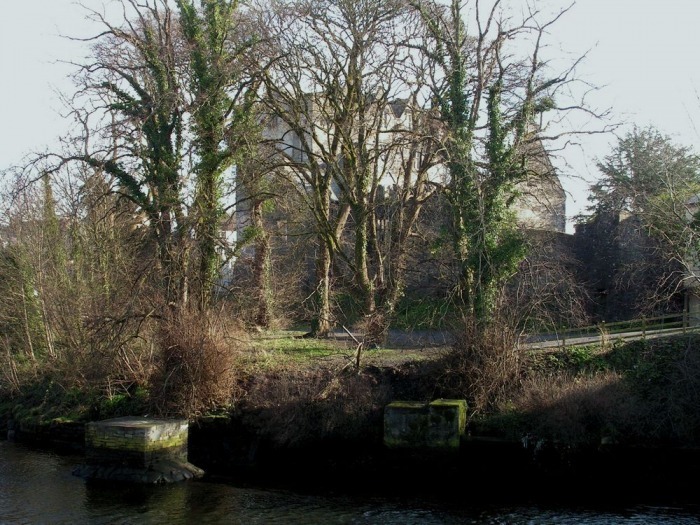 The site may have been used for a Viking fort in the 9th and 10th centuries. 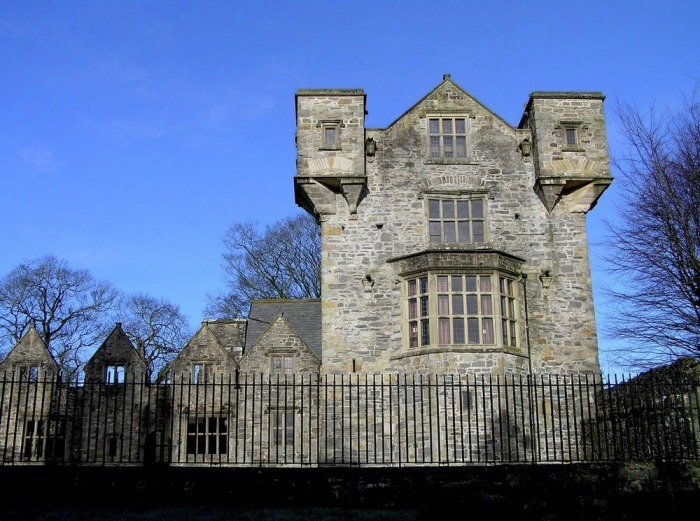 The restored Tower House rises above the unroofed English Manor House. Historical records mentin "the New Tower" in 1563 but we know that Red Hugh O'Donnell, the first O'Donnell prince of that name, built a castle here in 1474, so that may have been the year of its construction. The bartizan turrets were added and the windows enlarged to their present mullioned status, by the Brooke family, in the early 17th century. 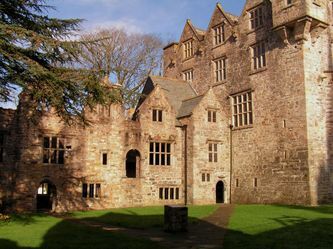 Captain Basil Brooke, and English soldier, was awarded the castle in 1601 because he had fought for the English Crown in the Nine Year War. 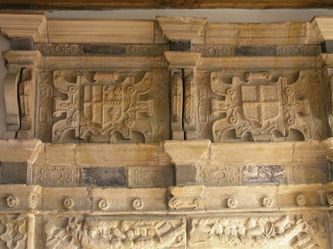 This was added in 1623. A wooden staircase led to the elaborately sculptured portal at the second level. 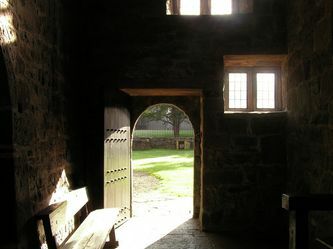 The Gothic and Romanesque doorways at ground level were for servants, the Gothic doorway and perhaps the building stones are thought to have been taken directly from the Franciscan Friary, a few minutes walk away. 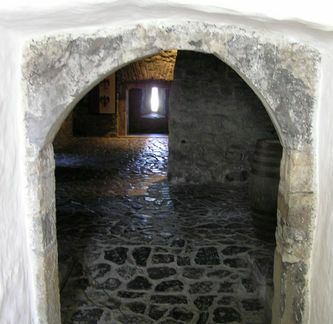 Underfoot are the original 15th century cobblestones. 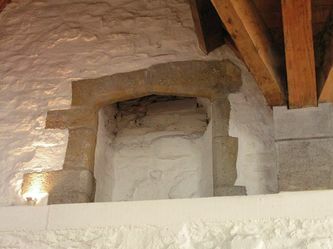 In the first section of the storerooms, the barrel-vaulted ceilings collapsed before the Castles restoration (1989-1996) but in the second section the barrelled vaulting survived. 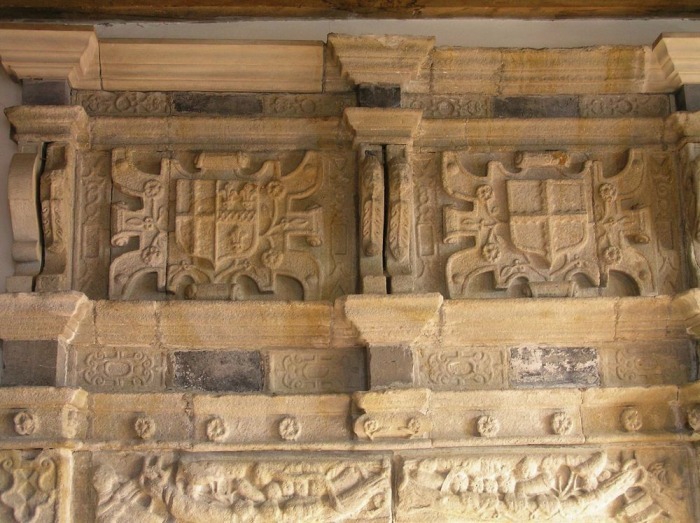 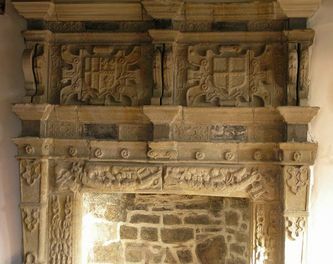 To the left of the entrance are the Coats of Arms of the O'Donnells and Brookes. 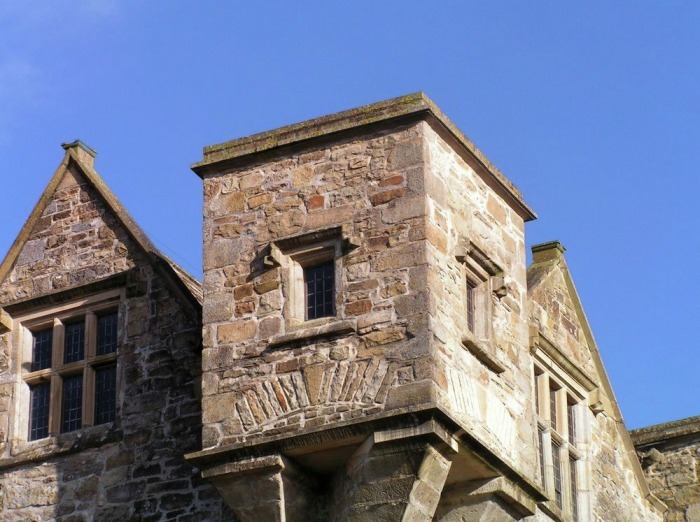 The mast of a sailing ship indicates the extensive export of fish during the O'Donnells' rule. The O'Donnells were known as 'The Kings of the Fish' on the continent. 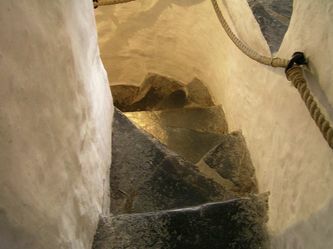 The 15th century entrance door to the castle was positioned at the bottom of the spiral stone staircase. 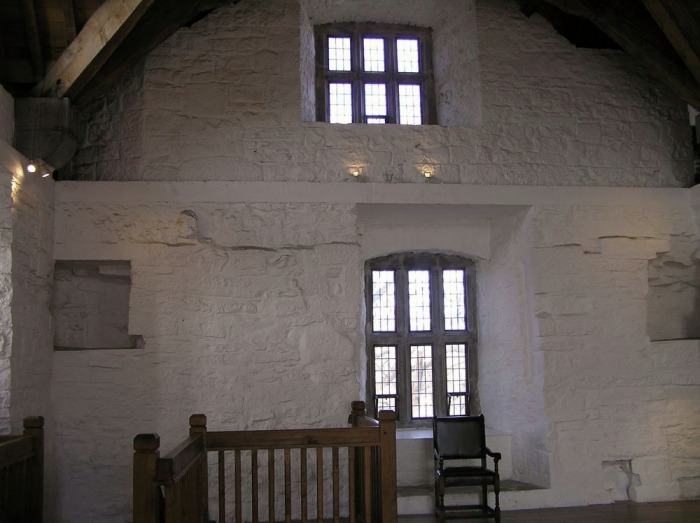 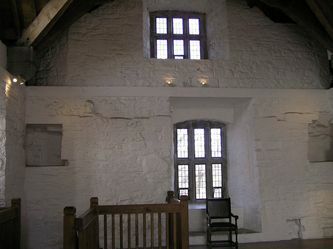 The Brookes built a bay window on the second floor and to support this erected wall and removed the door. The steps of the spiral staircase are uneven to trip the enemy swordsman. 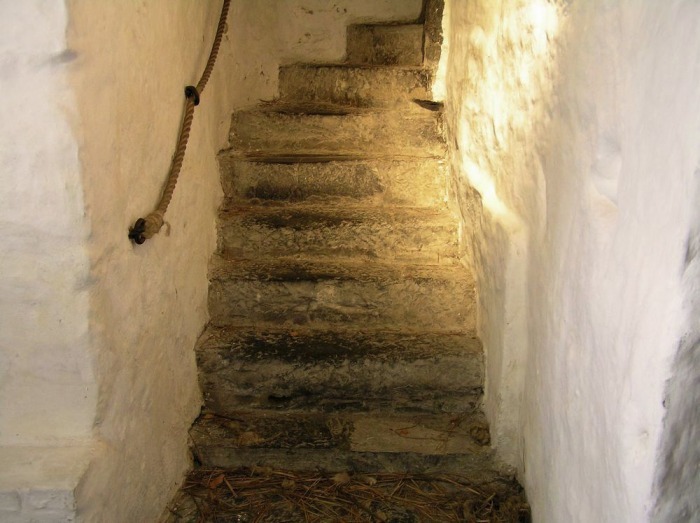 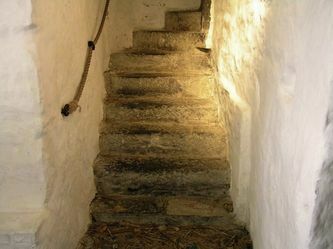 The stairs ascend to the right because the O'Donnells were right handed and this gave them more room at the turn of the stairs to strike down at their enemies. 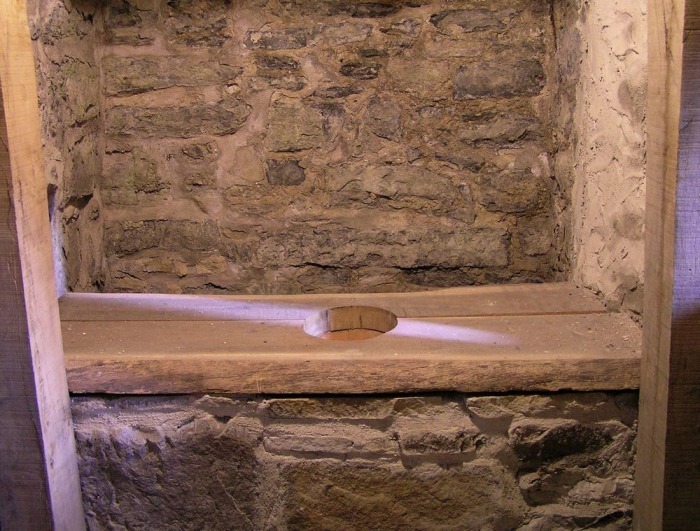 In the inner chamber was the toilet seat. An apocryphal story claims that the open chute taking the "waste" down to the river had to be angled in such a way that an enemy archer could not catch one by surprise! The garde-robe functions as a cloakroom. The holes in the walls carried batons supporting a bench upon which people threw their robes to benefit from the supposed disinfectant properties of the amonia wafting through from the urine in the toilet. 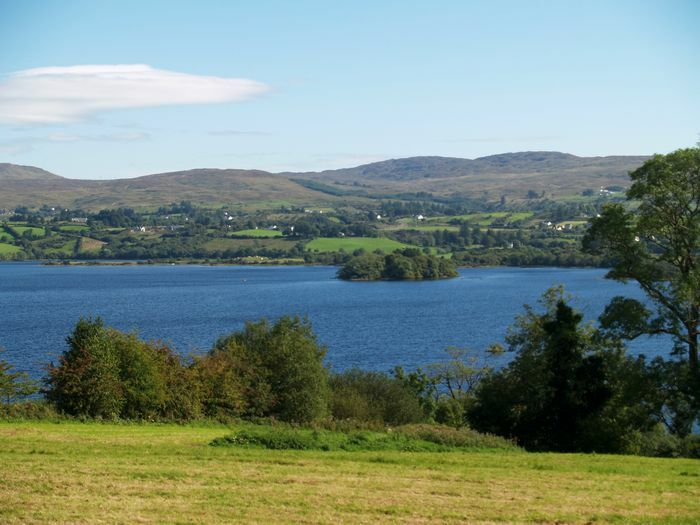 The tiny island on Lough Eske houses the ruins of O'Donnell's Keep which is where the O'Donnell Clan would keep their captives. 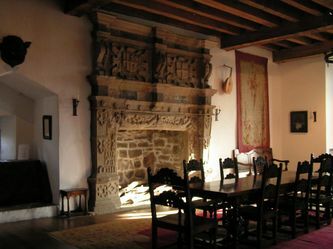 Click to enlarge either photograph.